Thinking of creating a new campaign but you don’t have any idea? Check the Top Creative Agencies around the globe with just one click here. The directory of AppFutura lists hundreds of the Best Creative Agencies that you can find in the world. Hire the top creative agency that best fits your needs and read the best creative agencies reviews to get an idea of their previous work. Top Creative Agencies come very handily when you are looking to change part of your company’s personality. In fact, the best creative agencies are useful for everything. From thinking about a new and catchy business name for the enterprise but also to create an astonishing new marketing campaign that will be the envy of all your competitors. In fact, having the top creative agency by your side at all times is not a bad idea. Having an idea but no clue how to make it impressive in any way? Hire the best creative agencies and it will be very easy from there. In fact, the top creative agencies in the world have earned creativity awards for their experience but also for their top-notch professionalism. This is why AppFutura has listed them in this directory. You can navigate through hundreds of the best creative agencies in the world with just one click. And don’t forget to read top creative agencies reviews to have an idea of how to hire the best creative agency around. 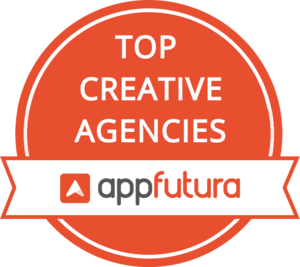 However, if you have some difficulties looking for the offshore top creative agency, don’t hesitate in getting in touch with the team at AppFutura. We will gladly recommend you the best creative agency for your creativity project.